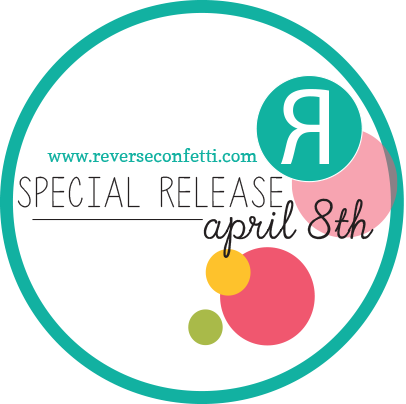 It's that time again... very special Countdown to Confetti time at Reverse Confetti! The new April release features FIVE new stamp sets, EIGHT new Confetti Cuts, and new limited edition Quick Card Panels! Check out the fabulous new Reverse Confetti products that I used today! That TASSEL Confetti Cuts! I'm in love! I have created twine tassels many times, but tissue paper tassles are AMAZING! Love the wispy and airy feel of this awesome embellishment! 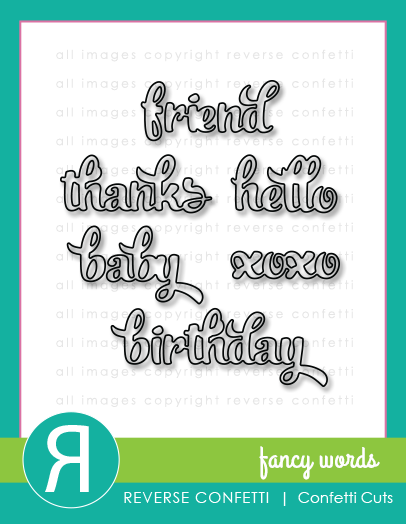 The Fancy Words Confetti Cuts were added along with a sentiment from the Fancy Word Coordinates stamp set. These new items are so fun to create with! The new release BLOG HOP is tomorrow! You won't want to miss all of the AWESOME inspiration and a chance to shop early tonight! Head on over to the Reverse Confetti Blog to see what Jen, the Confetti Crew designers and our new 'Fetti Friends have whipped up with this special new April release! very pretty card, Stacey, the Fancy Words look great! The tassel die looks like a fun one! This is a darling card Stacey, love the DP you used! I have fallen into serious want for that tassel confetti cut. Need it now! Cute--I like the papers and the tassel. Adorable card! This new tassel die is awesome! I think that tassel die cut is so fun. Thanks for your cool ideas for the countdown. Great use of the dies and stamps! Love the tassel Stacey! And all the patterned papers layered like you did are awesome! Love the new release. The tassels are so cute on everything! I love this card! It's so festive and colorful! 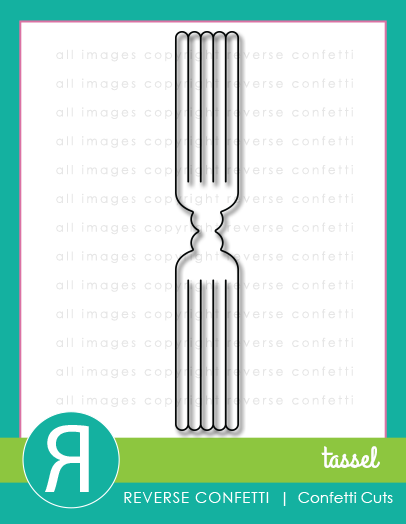 Such a fun card, love the tassel to embellish! Love the layering. the background papers are fun and colorful. way too fun... love the tassel! Super cute. I love that the tassel die can be used on a card! Fun fun colors and card! Great use of patterned paper on this fun card. 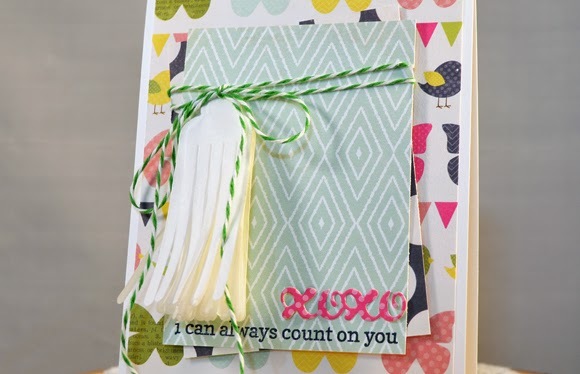 Such a cute card you made with the tassel die and the xoxo die is perfect. I really like the Fanciful Words. Thanks for sharing your wonderful cards.